'King' Nagarjuna is all praise for 'Rockstar' Devi Sri Prasad's unlimited energy and passion towards his craft. "Everything that DSP does turns into a huge success. Apart from composing music, he also writes extremely well. On top of all this, he has unlimited energy and talent. 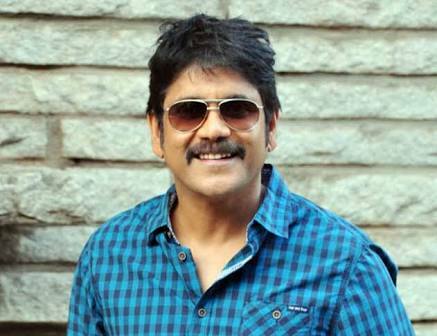 He's a live wire," Nagarjuna said while talking about DSP, who's all set to head to Australia and New Zealand later this month to perform at various live concerts in the two countries for the first time in his career. Nagarjuna and DSP have known each other for quite long time, and it's worth noting that DSP had scored music for Nagarjuna starrer Manmadhudu, back in 2002, which went on to become a huge musical blockbuster of the decade. Praising Devi Sri Prasad's off-screen persona, Nagarjuna said, "He's full of positivity. Whenever he meets someone, he makes sure that he makes them laugh. And whatever is in his heart, he expresses it through his music. I'm sure that he'll do the same when he goes to perform live in front of his fans in Australia and New Zealand." In recent times, stars like Megastar Chiranjeevi and Superstar Mahesh Babu had wished DSP all the success for his forthcoming concert tour and also praised the music director for leaving no stone unturned to make these concerts as the biggest Indian music concert in Australia and New Zealand. Starting from May 27, DSP will perform at four different cities across Australia and New Zealand, and all these concerts are organised by KK PRODUCTIONS. Apart from Devi Sri Prasad, the concert will also feature a great lineup of musicians and singers from India, including Geetha Madhuri, Ranjith, Ranina Reddy, Sagar, Divya and Rita, who will be travelling with him to various cities. The music director has always looked forward to collaborate with talented artistes and musicians from various countries to entertain the audiences and just like what he did during his US tour, several promising musicians and artistes from Australia and New Zealand will be performing with DSP in this concert tour. DSP's Australia & New Zealand tour will kickoff from May 27 where he'll perform in SYDNEY at OLYMPIC PARK SPORTS CENTRE, and then on June 3 in MELBOURNE at MELBOURNE CONVENTION CENTRE. Later, he'll be performing on June 10 in BRISBANE at SLEEMANS SPORTS COMPLEX CHANDLER THEATRE and then DSP will be heading for the final concert on June 17 at VICTORY CONVENTION CENTRE in AUCKLAND, New Zealand. The tickets for the concert are already on sale from March 24 at ticketbooth.com.au. So grab your tickets and shake a leg with DSP..!! !